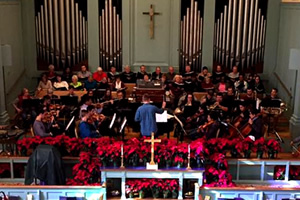 Music plays an important role in the life of Laurel First United Methodist Church. 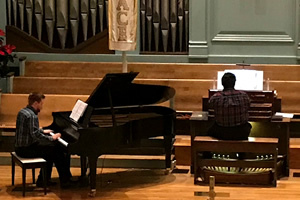 As we build upon the firm foundation of Christ through a rich history of quality sacred music, we are blessed to have a diverse group of talented musicians who serve faithfully in the church’s music ministry. 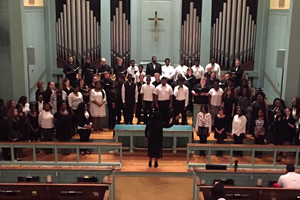 The mission of the music ministries at Laurel First UMC is to glorify God by enriching our community of faith through an inclusive, comprehensive, and dynamic arts program. For more information about becoming involved in the music ministries of Laurel First United Methodist Church, contact Creighton Holder, Director of Music Ministries. 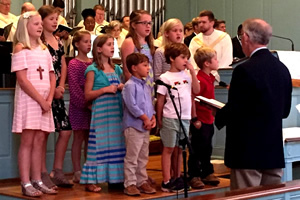 Offers anthems and leads in worship each Sunday for the Traditional Worship Service. 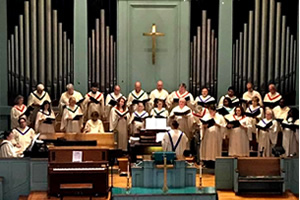 In addition, the Sanctuary Choir prepares and sings three major concerts each year (two with full orchestra) during the Lenten/Easter Season, the Summer, and the Advent/Christmas season. Shares a 30 min musical program with area nursing homes on the last two Fridays of each month and provides music at other special occasions.